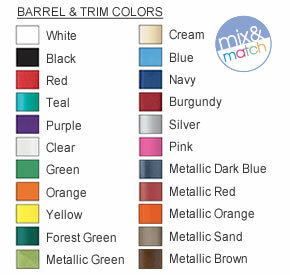 Barrel/Trim Colors: Choose 1 barrel and 1 trim color from selection shown. Please note that barrel and trim colors may not be an exact color match. Flow lines may be visible in metallic barrels. Imprint Area: Barrel: 2 1/8" x 3/4". Clip: 1 1/8" x 5/32" For multi-color imprints on clear barrels, the imprint area is 1 7/8" x 3/4". I have order these pens several times and will continue to reorder!!! Everywhere I take them they always want to remind me to bring more anytime!!! I have ordered in several different barrel colors and other colors and have never been disappointed !!! Also ordering is a breeze and receive fast !!! Thanks pen imprint !!!! We ordered pens with a emblem logo. Our artwork was of very poor quality; image blurred and wording unreadable. It was an amazing transformation Penimprint's graphics department did in cleaning up the image! I highly recommend Penimprint for ease of ordering, excellent customer service, and an awesome graphics department! This was the best imprint product I have ordered for our company in the last 15 years. There was no set up fee, and the price was very comparable. Online ordereing was extremely easy, and our products were shipped within a week. Thank you very mcuh- Will be ordering from you guys next time. We ordered the dual-use recycled pens with bamboo clip. We were disappointed that at least 100 of the pen clips fell out easily. Last time we ordered, PenImprint sent us new pens to replace them. Maybe they'll do this again? We are extremely pleased with the artwork that was put together for our pens. 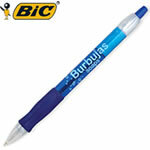 It is professional & eye catching and it looks great on the pen. 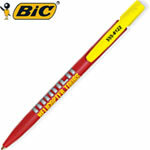 BIC CLIC STICKS WOW !!! 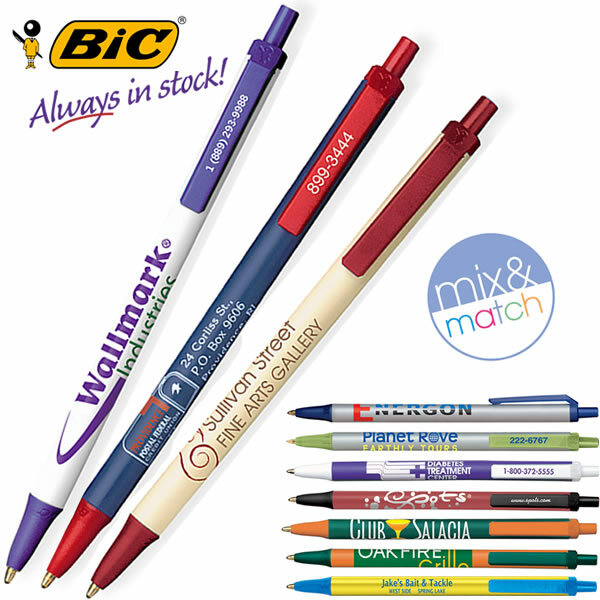 Promotional BIC Velocity Ballpoint Pen, Item #VB comes with a push top retractable plastic design for an affordable company promotion. Our Customized Plastic Retractable Pens include an artwork imprint to advertise your company and services. 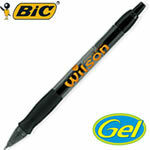 Promotional BIC Velocity Gel, Item #VGEL comes with a push top retractable plastic design for an affordable company promotion. 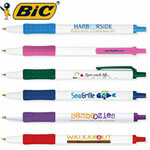 Our Customized Plastic Retractable Pens include an artwork imprint to advertise your company and services.